The industry is sold out. A film about films about corn fields. Curatorship by Marcelo Sarovic. 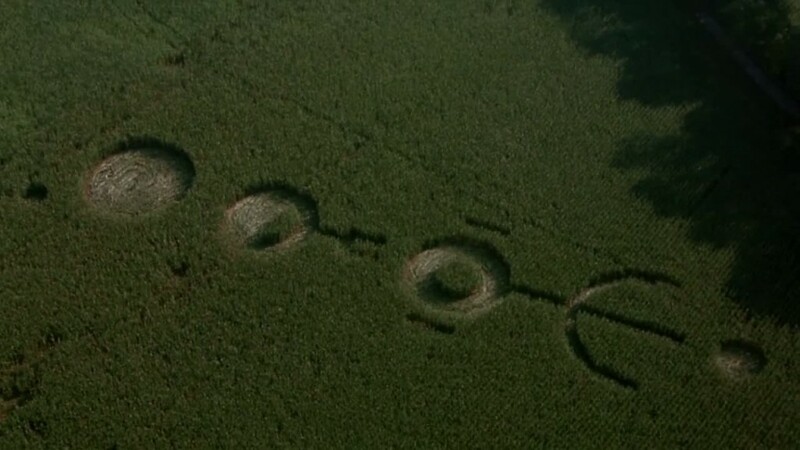 In order of appearance: Children of the Corn IV (1996, Greg Spence), Field of dreams (1989, Phil Alden Robinson), Signs (2002, M. Night Shyamalan), Children of the Corn (2009, Donald P. Borchers), Haute Tension (2003, Alexandre Aja), Joyride (2001, John Dahl), Freddy vs. Jason (2003, Ronny Yu), Children of the Corn VII (2001, Guy Magar), Children of the Corn VI (1999, Kari Skogland), Children of the Corn III (1995, James D.R. Hickox), Twister (1996, Jan de Bont), Children of the Corn V (1998, Ethan Wiley),	North by Northwest (1959, Alfred Hitchcock), Children of the Corn I (1984, Fritz Kiersch), The Informant! (2009, Steven Soderbergh), Secret Window (2004, David Koepp), Children of the Corn II (1992, David Price), Planet of the Apes (1968, Franklin J. Schaffner), A Scanner Darkly (2006, Richard Linklater), The Straight Story (1999, David Lynch).